The McLaren P1 is the undisputed crown jewel of McLaren’s performance car lineup. It’s also incredibly hard to come by as all units of the supercar are already accounted for. So, for those who have been left out on the P1, McLaren has the 675LT — a track-focused supercar that was released at the 2015 Geneva Motor Show to essentially bridge the (massive) gap between the P1 and the 650S. Needless to say, the addition of the 675LT into the McLaren lineup has given aftermarket tuners the green light to prepare tuning programs for the track-day superstar. One of the first to that party is Wheelsandmore, a German tuner company that’s known far and wide for its expertise in developing state-of-the-art wheels, and its capabilities in ECU remapping. That being said, it comes as no surprise that Wheelsandmore’s program for the McLaren 675LT focuses on those two things. Sure, there’s a suspension improvement on the agenda, but for the most part, it’s the wheels and the engine that make up the tuning kit. For the 675LT, Wheelsandmore is actually offering a variety of new wheel designs that prospective customers can choose from. These designs differ in texture and material, but all of them are universally regarded as some of the best in the supercar aftermarket scene. The same can be said for the engine upgrades. Wheelandmore isn’t known for mind-blowing power boosts, but it’s capable of making significant improvements that will be felt by owners of the cars. All in all, the program for the McLaren 675LT is essentially Wheelsandmore doing Wheelsandmore things. Knowing what the car is already capable of, the German tuner just added what needed to be added to give owners a more profound driving experience — the kind that justifies the 675LT’s billing as McLaren’s barely-road-legal race car. 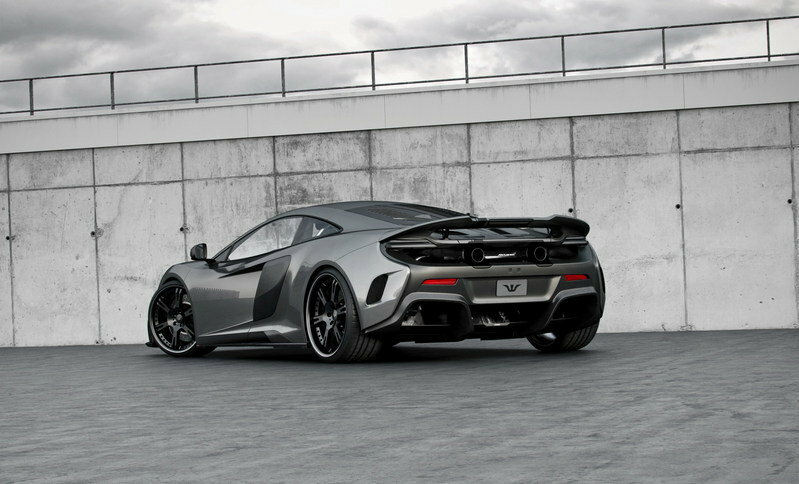 Continue reading to learn more about the McLaren 675LT By Wheelsandmore. Wheelsandmore isn’t really known for being over-the-top when it comes to exterior modifications. If you’ve seen some of the firm’s past programs, the only common body upgrade is the racing stripe that runs the entire length of the supercars is modifies. Other than that, all of the company’s upgrades to the body of the car are centered on the wheels. For its program on the 675LT, Wheelsandmore is giving customers the opportunity to choose different wheel designs built specifically for the McLaren supercar. Among the options include 6 Sporz² ultralight forged wheels, F.I.W.E. ultralight forged wheels, and F.I.W.E. ultralight forged, 3-piece concave handcrafted wheels. Each of these wheels are 20 inches in diameter in the front and 21 inches at the back. Don’t expect to see any interior modifications on this program because Wheelsandmore rarely does interior modifications. Don’t feel too bad though because the 675LT already has one of the most evocative cabins of any recently released supercar. There’s something to be said for a tuning firm that specializes in wheels and engine upgrades. To its credit, Wheelsandmore takes this specialization seriously and it’s evident on its work on the 675LT. At the heart of the entire program is an ECU upgrade on the new McLaren, bringing the supercar’s total output to 720 horsepower and 553 pound-feet of torque. That represents an increase of 45 horsepower and 37 pound-feet of torque from the 675LT’s standard output of 675 horsepower and 516 pound-feet of torque. No performance numbers were given, but I’m estimating a 0 to 60 mph sprint time of 2.7 seconds and a top speed of around 208 mph, two-tenths of a second faster to 60 mph and three mph faster on the radar compared to the standard 675LT. The German tuner is also offering a suspension upgrade that lowers the 675LT’s ride height by 0.98 inches. Customers should know, though, that this part of the kit can only be done in the company’s headquarters in Germany. Wheelsandmore has priced its 675LT program at €27,730, which would amount to around $30,620 based on current exchange rates. 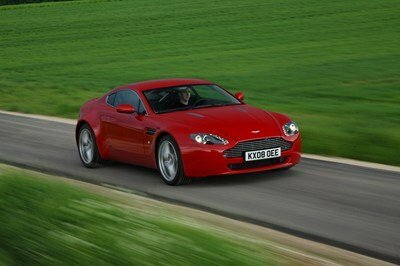 The cost includes the aforementioned engine and suspension upgrades, as well as a new set of 20- and 21-inch F.I.W.E. ultralight forged, 3-piece concave handcrafted wheels wrapped in Continental Sport Contact 5P tires. 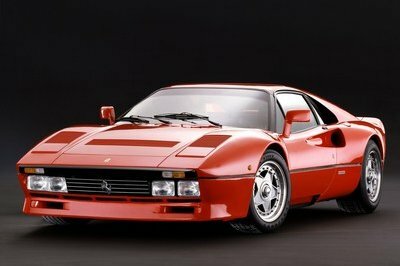 With the absence of any rival programs for the 675LT currently in the market, I’ll turn my attention to the supercar’s real rival, or should I say, upcoming rival from Maranello. 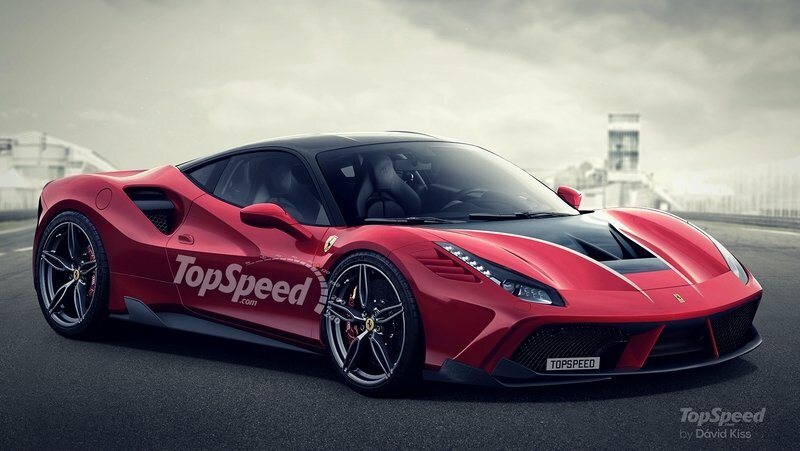 The release of the new Ferrari 488 GTB comes at the perfect time for Ferrari and if there’s one thing we know about Ferrari tradition, we can expect a lighter and race-ready Scuderia version of the 488 to arrive soon. There’s no timetable yet on when that’ll come, but when it does - it’s not really a question of ‘if’ anymore - I expect it to come with plenty of aerodynamically enhanced body panels, a somewhat stripped-down interior, and a boost in power to rival that of the 675LT. Read our full review in here. I believe that this is actually the first publicly released aftermarket program for the McLaren 675LT. 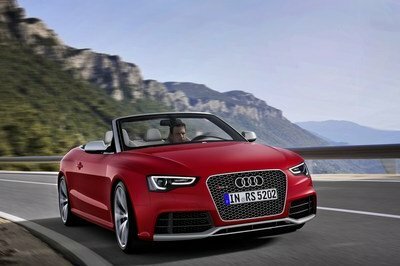 It makes sense since the new supercar only made its debut at the 2015 Geneva Motor Show. By almost all measures, Wheelsandmore has proven itself to be adept at building impressive kits for some of the world’s best supercars. It’s kind of been like a routine for the company, and this particular program for the 675LT is yet another example of the workmanlike precision of its tuning programs. 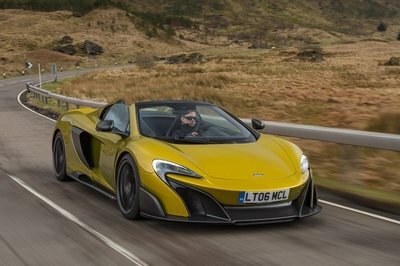 It’s not going to be the fastest, most powerful, and most outlandish tuning kit we’ll see for the McLaren 675LT. Others will follow and promise more power at their disposal. But, as far as setting the bar is concerned, that’s what this program is all about. Succeeding tuning kits for the 675LT will be measured on what they can offer relative to what Wheelsandmore already has in the market. Wait for other tuning kits? Collecting or riding? Who owns who and who dares to the absolute limit, especially during accelaration and deceleration? One thing is for certain: The all new McLaren 675 LT isn´t available for loving words or money anymore and those who are part of the elite circle got some delicate upgrade options offered by Wheelsandmore to teach the meaning of fear to some renowned Southern European manufacturers. Tuning icon Wheelsandmore offers 2 different forged wheel designs for the McLaren 675 LT. Both are coming sizing 9,5x20 inches front wearing 255/30/20 tires and 12,0x21 inches with ultrawide 325/25/21 tires. 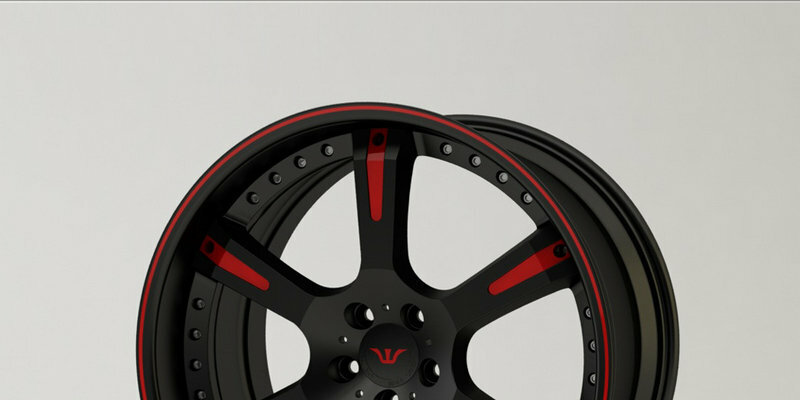 As well the classic filigree 6Sporz² wheeldesign as the ultra-modern concave designed F.I.W.E. ultralight forged wheel are suitable for the Mc Laren supersportscar. 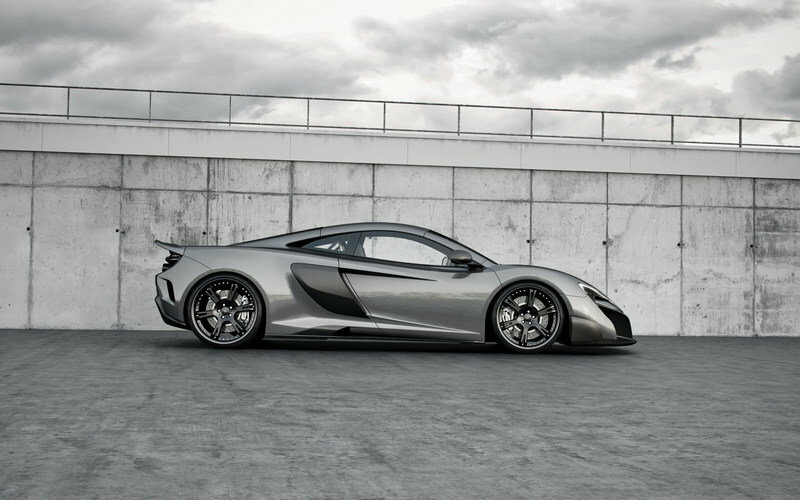 The 675 LT formally screems to one of those wheel package conversions. With its modular construction the customer´s options about color and surface finish are nearly unlimited and even the center lock optics with the F.I.W.E. model can be finished accomodating the original logos. 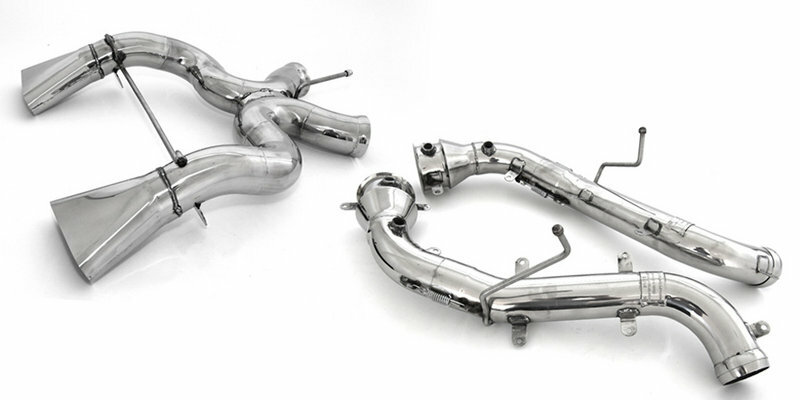 As power sometimes can only be replaced by even more power and the aerodynamically perfect styled carbonsupersportscar offers just a few opportunities for further weight reduction and flow optimization, Wheelsandmore improves the performance just by classical software optimization, which can be combined with appropriate exhaust components, optionally with or without catalytic converters. 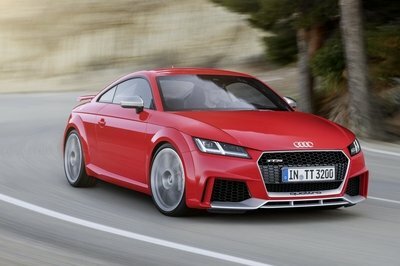 Just with an electronic adjustment extraordinary 720 hp and 750 nm of torque were measured.